It’s Saturday morning and the tasting room floor at Lenny Boy Brewing is full of bodies lying in various stages of contortion. The members of the prostrate pack slowly press themselves to a seated position, eyes closed and heads down as if to ward off the coming day. Looking like the aftermath of a poorly conceived Free Beer Friday promotion, this is actually Saturday morning yoga at the brewery. Where once a 12-ounce curl was the only suggested work out and “chin to bar” meant something completely different, a new phenomenon of brewery-based activities has made an odd, but loving, couple of alcohol and exercise. Organized bike rides, group runs and yoga classes are popping up at breweries all over the Queen City. The schedule seems to grow and change weekly so it’s a good idea to check websites before your first visit to an event. 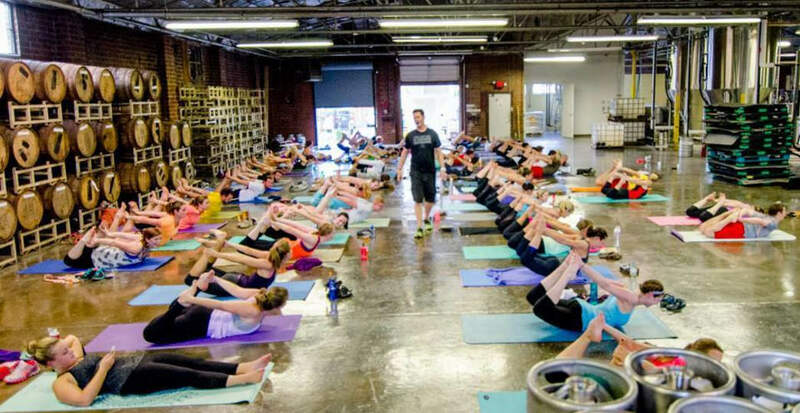 But to get you started, here are some popular Charlotte breweries with fitness-based activities. The large open spaces and outdoor beer gardens of Charlotte’s breweries provide the perfect location for wringing out tired, tense bodies. 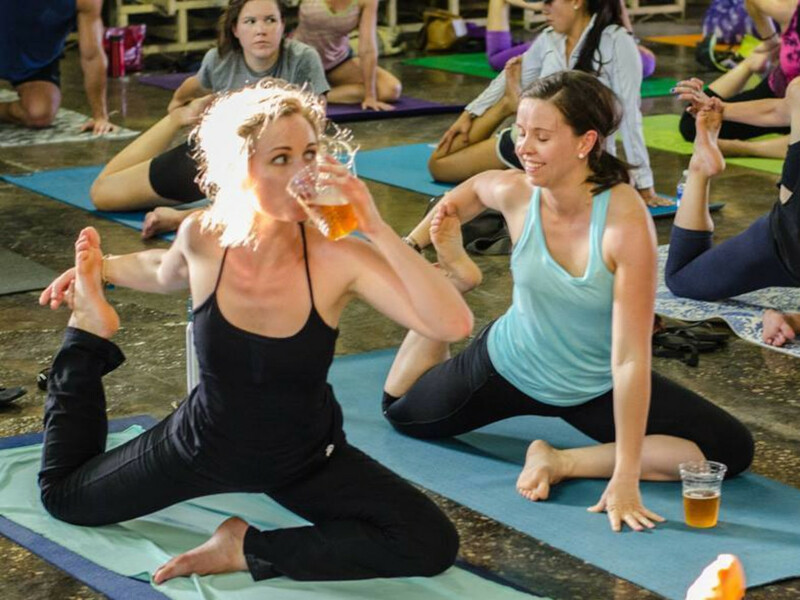 Lindsay Cunningham, founder of NC Yoga Bar , has capitalized on this new beer pairing, bringing the benefits of yoga to people who might otherwise not visit a studio. 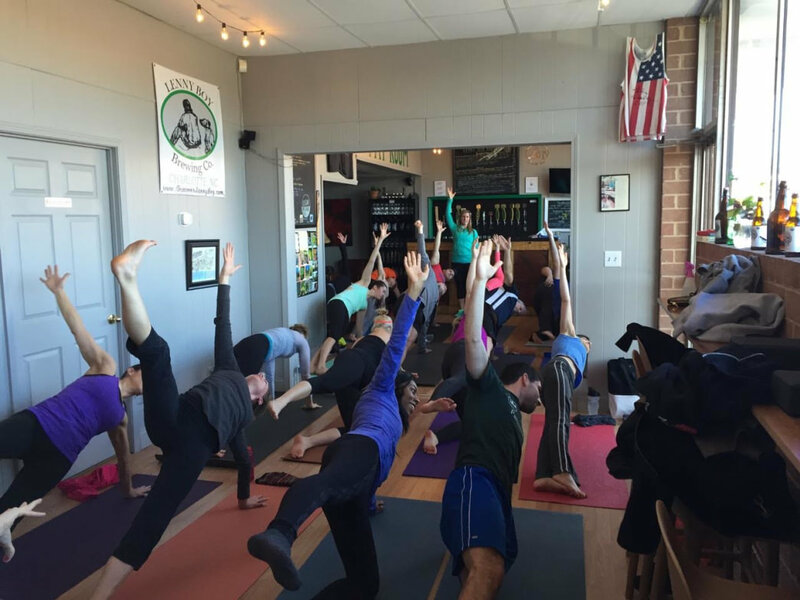 NC Yoga Bar offers portable yoga to apartment complexes, corporate centers, and a couple Charlotte breweries. The indoor class at Lenny Boy Brewing Company begins at 10 a.m. each Saturday. 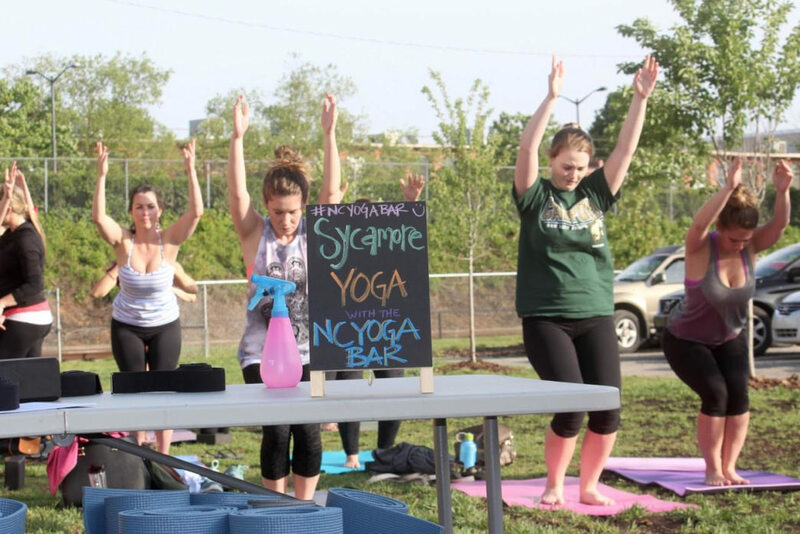 At Sycamore Brewing, Lindsay and her team teach on the lawn behind the brewery every Wednesday at 7 p.m. To further encourage newbies and offer the full-studio experience, NC Yoga Bar provides mats and props on a first-come/first-serve basis. Each class is $5 and includes a free Kombucha (for morning classes) or beer tasting. Olde Mecklenburg Brewery: Tuesday nights at 6:30. Even the large beer garden at OMB gets packed on Tuesday nights. Rotating yogis teach different styles at this free, weekly class. 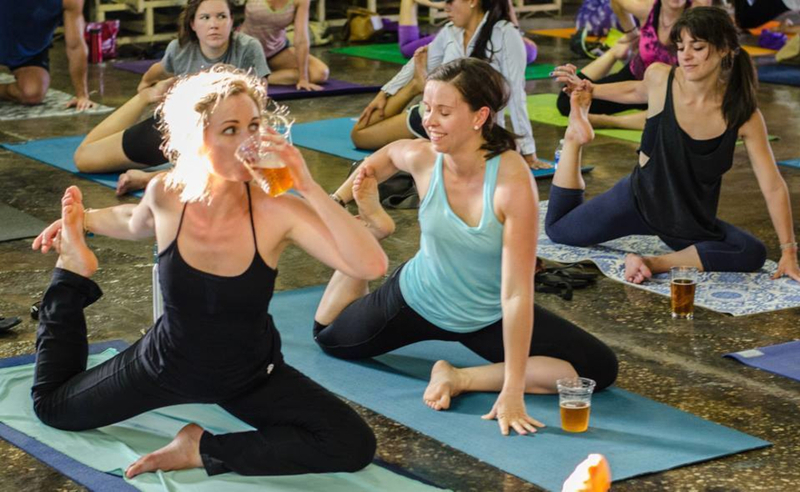 D9 Brewing Co.: For $10 each Tuesday at 6:30 p.m., D9 will host you inside the brewery with a yoga class and pint of your choice. Bring your mat and love of great beer. Triple C Brewing: Stretch out on the spacious production floor at Triple C each Thursday at 6:30 p.m. Five bucks gets you get a beer and all the flow you can handle. The combination of running and beer isn’t all that new. Breweries have sponsored 5k’s since the beginning of recorded history (at least that's our guess). 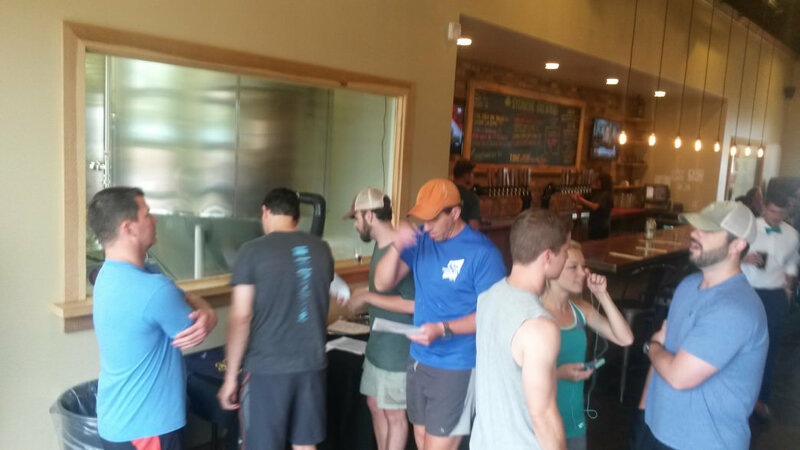 So the growth of brewery-based run clubs is a natural side effect of the craft-beer boom in Charlotte. Sycamore Brewing has one of the most prolific schedules in Charlotte. They’ve just added a second run club on Saturdays at the mercifully late hour of noon to complement the existing 7 p.m. Wednesday group. Managing a run club that begins from a brewery isn’t without its perils, says Will Comer, organizer of Sycamores run group. With Comer’s organization and encouragement, the group almost always leaves intact, making good use of the Charlotte Trolley Trail and local roads for a 1-, 3-, or 5-mile route. At the end of each run, Sycamore rewards participants with a half pour of their choice. NoDa Brewing: At the forefront of most things brewing in Charlotte, NoDa was also among the first to host a weekly running group. Each Wednesday night at 6:30, hundreds of walkers and runners tour the streets of NoDa on a 1-, 3-, or 5-mile course before six-pack ab-ing up to the bar for an award-winning brew. 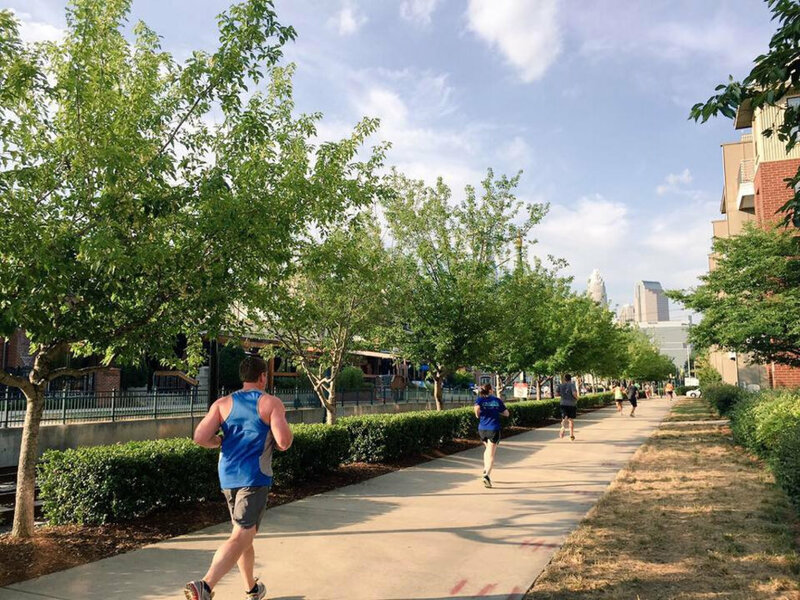 Triple C Brewing: Named best brewery run club by the Active Charlotte Alliance, the Triple C route is perhaps the easiest route to follow in Charlotte. Each Thursday night at 6:30, in almost any weather, the group takes off from the brewery and heads straight down the Trolley Trail. Turn around when you’re as far away from beer as you want to get. The longest route is 5 miles and dips into uptown. Heist Brewery Run Club: Not your average weekly run club. Heist ups the ante by partnering with different vendors to provide prizes and raffles was well as live music and a frequent-runner program. The 1-, 3-, or 5-mile run begins at 6:30 each Monday night and includes water stops along the way. “There is a certain ‘earned it’ mentality that comes with achieving a challenging training ride and then having a beer,” says Chris Guella, an organizer of the [Unknown Bike and Brew](Unknown%20Bike%20and%20Brew) . This may help explain the popularity of the ride, which launches from Unknown Brewing each Saturday afternoon at 2:30. But there’s even more to this weekly event than just a great workout and socializing with friends. As a sanctioned part of Over the Edge Cycling Club, Bike and Brew helps raise money and awareness for the National MS Society. Each week, Unknown Brewing makes a donation to the charity based on the number of participants, which ranges from 40 to 80 riders depending on weather. Just showing up helps a great cause and makes that end-of-ride beer even more well-earned. 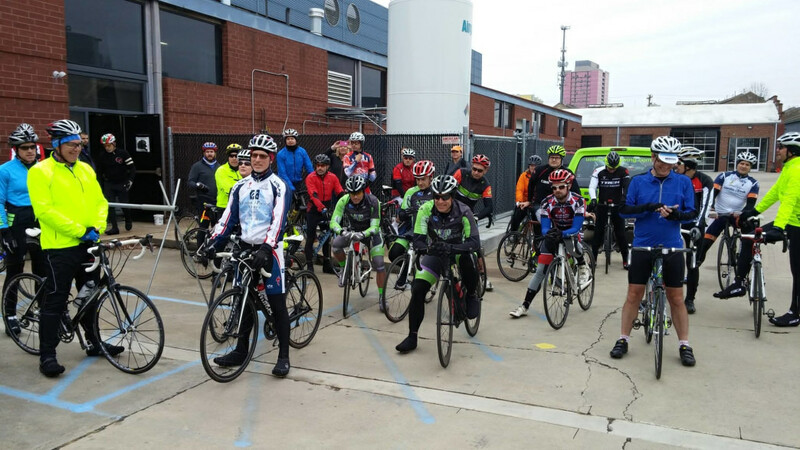 Bike and Brew follows several routes at different speeds to accommodate all riders. Each begins and ends at the brewery and range from 10 to 35 miles. There is no cost for the ride, but each participant is asked to fill out a waiver once per year. While there’s no requirement to buy a beer from Unknown, the group typically sticks around the brewery after the ride to “reflect on the event,” says Guella. 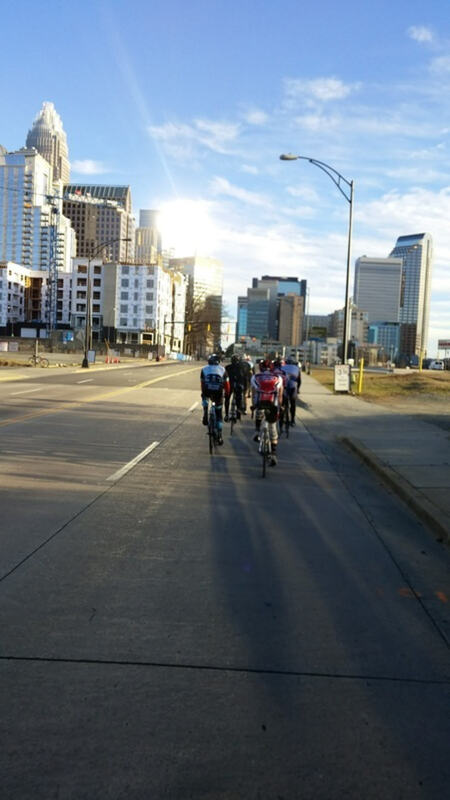 For a Sunday alternative, Olde Mecklenburg Brewing offers a 1.5-hour ride each week. The group meets at 2:15 with a “wheels rolling” 2:30 start. The 28-mile “show and go” route has a couple pacing groups for intermediate and more advanced riders. The 20-mile “no drop” route rolls at a more recreational pace. All meet back at OMB for a beer after the ride.